Finding the right home can be fun and exciting. Find the right mortgage? Not so much. Nearly half of borrowers don’t shop around for the best rate before applying for a mortgage, and even if they do, only 3 out of 4 end up applying to more than one lender or mortgage broker. That’s according to a study conducted by two federal agencies, the Consumer Financial Protection Bureau and the Federal Housing Finance Agency. 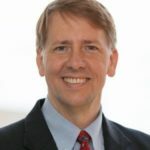 As part of the CFPB’s “Know Before You Owe” campaign, the agency has released an interactive online toolkit designed to guide consumers through the homebuying process from start to finish. 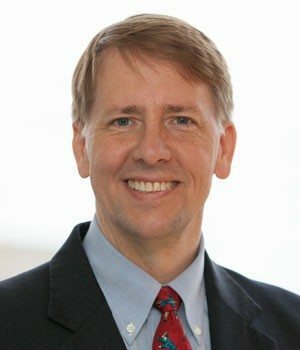 “Consumers put great thought into the choice of a home, but the mortgage process continues to be intimidating,” said CFPB Director Richard Cordray in a statement. For instance, for a borrower taking out a 30-year fixed-rate loan for $200,000, getting an interest rate of 4 percent instead of 4.5 percent translates into almost $60 saved per month, or about $3,500 over the first five years, the agency said. The key component of the “Owning a Home” toolkit is a Rate Checker tool, currently in beta, that helps consumers understand what interest rates may be available to them using the same criteria that lenders do, including loan type, property value, loan amount and credit score. Consumers using the tool will be able to see how likely they are, given their situation, to get a particular rate; easily compare interest rates and how much they will cost over the life of the loan; see how their interest rate would be affected if they improve their credit score or save for a bigger down payment; and learn how they can work toward a better interest rate. The tool is updated daily with information from lenders that cover about 80 percent of the mortgage market. This August, a new rule will go into effect requiring the use of new, simplified mortgage disclosure forms that are designed to make it easier for homebuyers to understand the terms of a mortgage, compare loan offers and avoid “costly surprises” at closing. Real estate industry leaders were largely positive about the new forms when released in November 2013.